My first day in the COP yesterday was fast-paced and overwhelming. It’s amazing to see the number of people that fill every table as they work diligently behind their laptops, the crowds that stream in and out of press conference rooms, and the many groups meeting in any available corner or bit of wall space. The daily program presenting all the main plenary sessions, regional and sector-specific group meetings, side events, press conferences and more, was 40 pages yesterday. It is another world inside the negotiations, but despite the bureaucratic nature of negotiations, there are constant reminders of why the success of the UNFCCC process matters, and those we are ultimately acting for, if only we care to notice. After starting out my morning with a briefing from Canada’s lead negotiator, who unfortunately only has the mandate to convey Canada’s lack of consideration of even our own vulnerable communities through its obstructionist role at the COP, I met with a group called UNFairplay to participate in their work of supporting the Kiribati delegation. The Republic of Kiribati is an island nation made up of 32 atolls and one coral island in the central Pacific Ocean. As with Tuvalu, the Maldives and other small island nation states, Kiribati is extremely vulnerable to climate change impacts, most disastrously in the reality of rising sea levels, given that most of the country is only metres above sea level. However, with only a handful of delegates, it is hard for Kiribati to attend, report on, and respond at all the parallel sessions happening here at the COP. 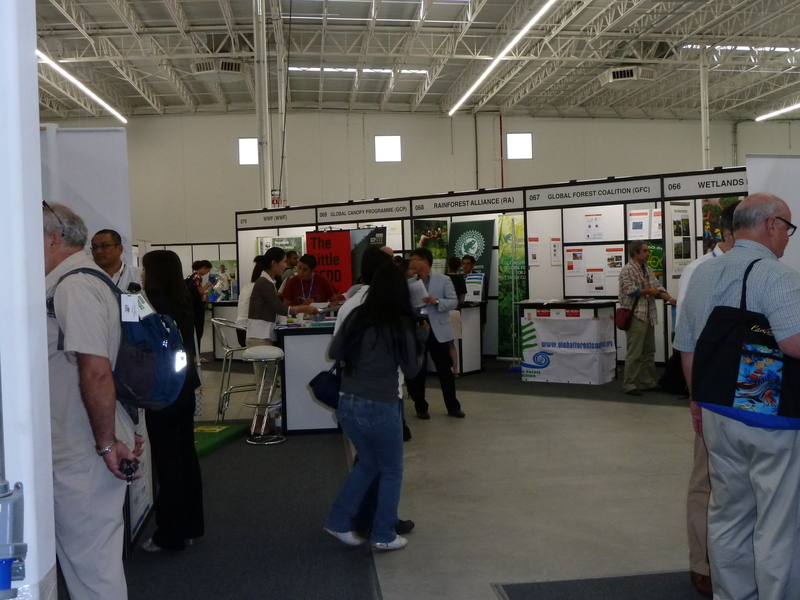 Compared to developed countries with delegations in the hundreds, many developing countries struggle throughout the negotiations due to a lack of capacity. UNFairplay, a group of committed youth from several different countries, tries to address this practical inequality in the UNFCC process. Through their support of any willing small delegation, and a website where they post impartial notes taken in COP sessions for any capacity-limited delegation to access, they are attempting to amplify the voices of the most vulnerable in a system that often excludes them. 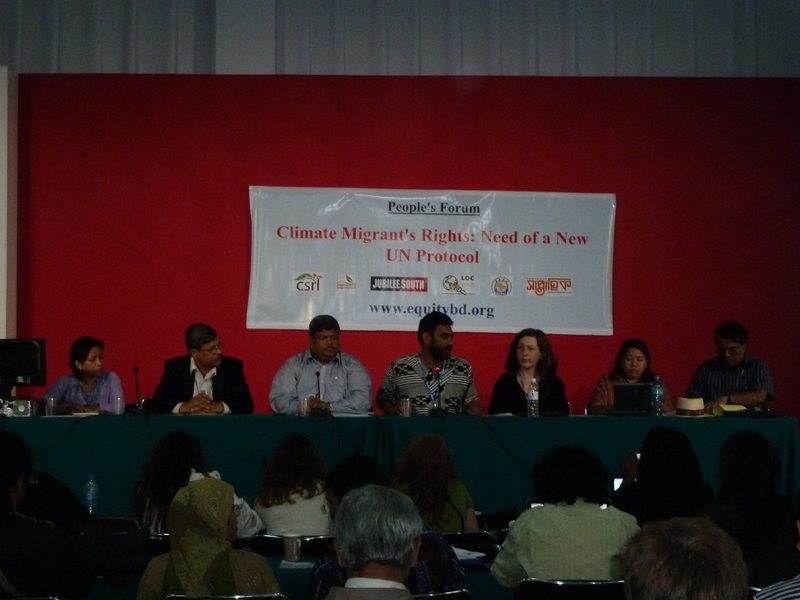 Later that afternoon, when I did attend a side event to take notes for UNFairplay, appropriately, the topic was ‘Rights for climate induced forced migrants’. A panel of speakers spoke about how it is often the poorest people in climate affected communities that are the most impacted, and when they are forced to migrate it is out of necessity and often their last resort. Their displacement from the communities and cultures that shaped their lives and livelihoods, often to overcrowded urban areas lacking the social structures to support them, only heightens their vulnerability. And while the international community provides an influx of humanitarian aid where and when disasters strike, we need to move away from addressing the situation only on a charitable basis towards addressing the systemic issues at the root of the problem. The panelists represented many different organizations that are pushing for the inclusion of climate justice language in the negotiations and other international forums. They acknowledged that the inclusion of climate induced migration, and a call on states to cooperate to facilitate migration in the draft Long-term Cooperative Action text (the negotiations being conducted under the UNFCCC, as opposed to negotiations under the Kyoto Protocol) was positive, but that more clear language was needed to ensure that the international community is held to account to treat climate induced migrants with the dignity and respect they deserve. 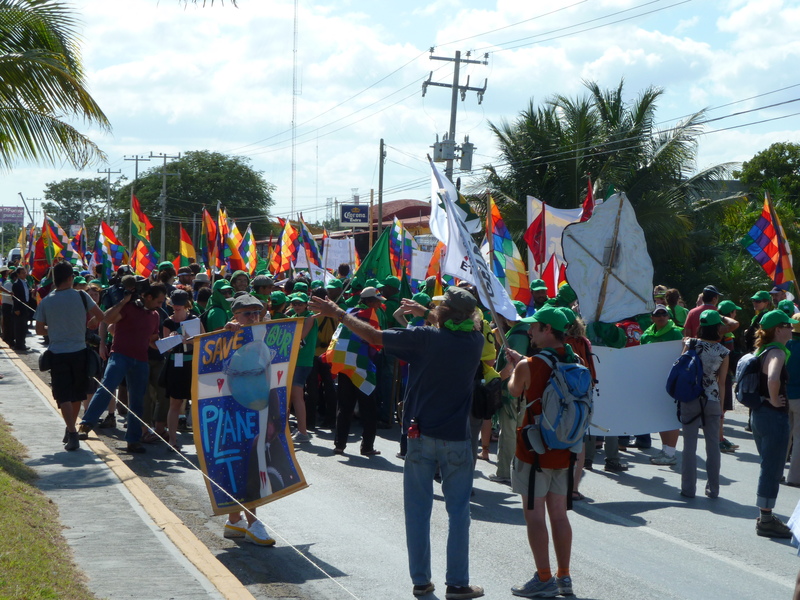 Today on the International Day of Climate Justice, many delegates in our group attended a march for Life, Social and Environmental Justice with Via Campesina, the international movement of peasants, small- and medium-sized producers, landless, rural women, indigenous people, rural youth and agricultural workers. We joined people from around the world mobilizing to create thousands of solutions to confront climate change under the banner ‘1000 Cancuns for Climate Justice’. Over the 7-hour peaceful march, we sang and chanted for climate justice, then listened to each group’s message in a people’s assembly that was convened on the spot we stopped our march – directly on the highway toward to the COP. I was marching to lend my support to these groups, and to represent those that could not be here to share their voices. These are the voices from communities in Canada that are and will be impacted by climate change. And particularly these are voices from the North, where permafrost degradation, changes in river ice break-up and snow melt timing, and disappearing sea ice are impacting communities and threatening to cause our own internal climate induced migration. We cannot forget the voices of the vulnerable and impacted in the work of negotiating a climate deal. We cannot forgot the moral imperative that we have to include their voices and well-being as decisions are made that will impact the planet and the environment that sustains all human and natural communities. We cannot forget the human face of climate change.